Carol Pelletier Radford is the Founder and CEO of MentoringinAction.com. This team is a group of dedicated teacher leaders who offer expertise and resources in the spirit of paying it forward to support the success of students. The mission of Mentoring in Action is to empower mentors and novice teachers in realizing their full potential as effective teachers and emerging leaders. Carol received her EdD from Harvard University where she focused her studies on teacher leadership and professional development. She began her career as a public school teacher where she learned the value of student engagement, teacher collaboration, and using student voices to improve teaching practices. She served in higher education as a teacher, administrator, licensing officer, and alternative certification program director. Carol is the author of three books that support novice teacher and mentor leadership development. Two books with Corwin Press; Mentoring in Action: Guiding, Sharing, and Reflecting With Novice Teachers 2e, and the companion book for novice teachers, The First Years Matter 2e, offer school districts a month-by- month curriculum. Her 3rd edition of Strategies for Successful Student Teaching guides the student teacher through the practicum, the job search and into the first year of teaching. Dr. Radford is actively engaged in designing online mentoring graduate courses that use videos, reflective journals, and mindfulness practices. 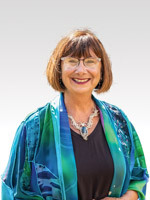 She is a passionate advocate of teacher leadership and the development of mentor leaders who can transform their district induction programs to bring joy back to the classroom.